surrounded by terraced gardens and custom rock work. Kitchen / Dining | This open space boasts soaring ceilings of pine tongue and groove and hearty pine beams. Ample light streams in from floor to ceiling windows overlooking winter views of the lake. The great room, dining room and kitchen combination allows for easy entertaining. 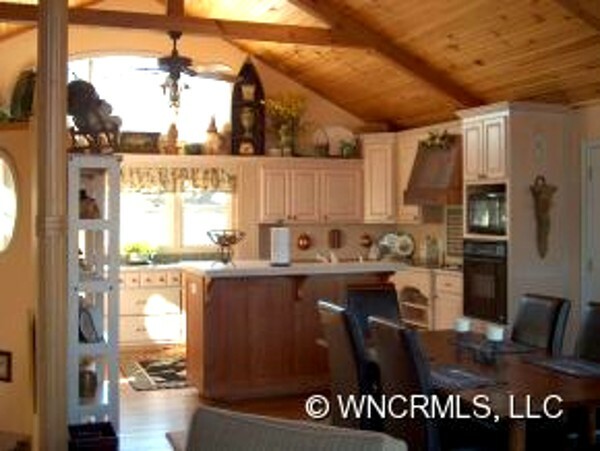 The kitchen area is highlighted by a handy center island. The gallery staircase offers additional space to display fine art and personal treasures. Master Bedroom | The spacious master suite features luxurious privacy, high ceilings and a wall of windows overlooking the lake. 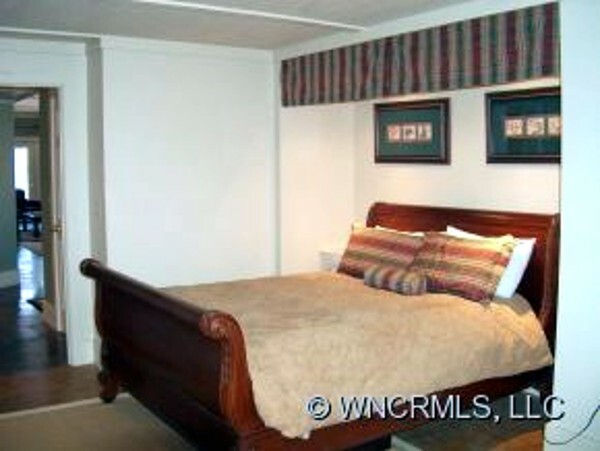 Notice the recessed lighting, ceiling fans and handsome wainscot. 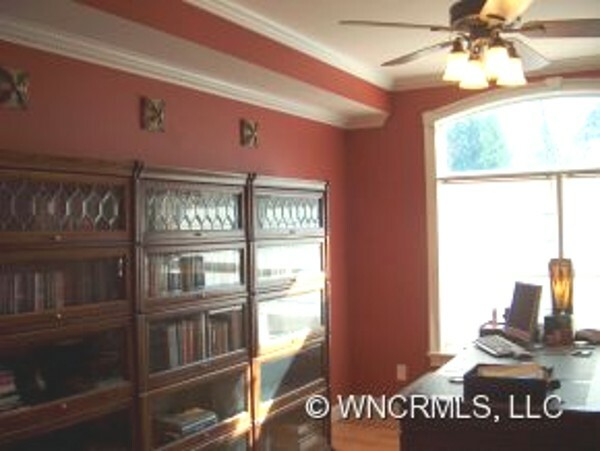 Library / Office | This cozy room offers privacy and peace. Built-in book cases, tray ceiling and oak floors are highlights of this space. Lower Level | Downstairs, the lake home boasts a beautiful family room complete with a stack stone gas fireplace and billiard room. There’s also custom bar and entertainment area with television viewing space. Guests will appreciate the large light-filled guest room with built-in bed. Step through the French doors and enjoy the patio or meander down to the lake. 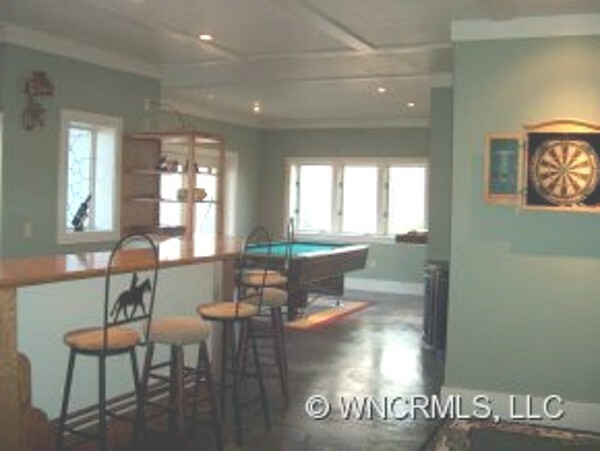 Lower Level bar amd billiard room can be used for any number of family activities. Lakefront Living | Enjoy the best of the mountains and the best of the lake. 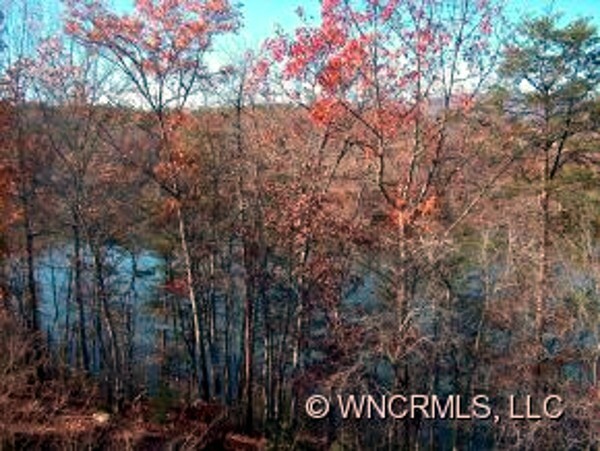 The property includes 165 feet of shoreline on deep water and it sown private dock. Your family will enjoy a full range of lake activities, including boating, kayaking and swimming. Fishermen find some of the best fishing our region has to offer. 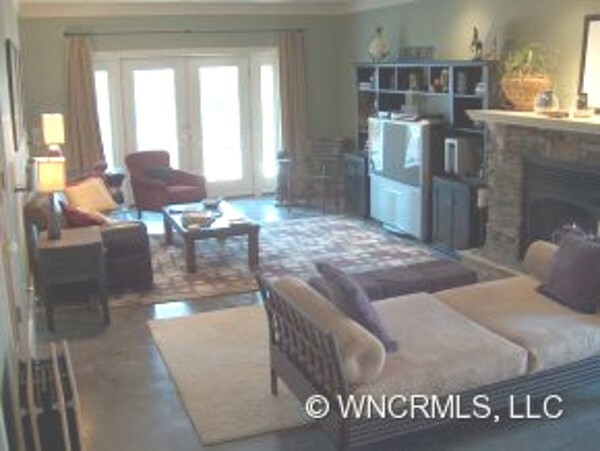 3700+ sq ft, with 3 levels of easy living. Custom designed with low maintenance materials. 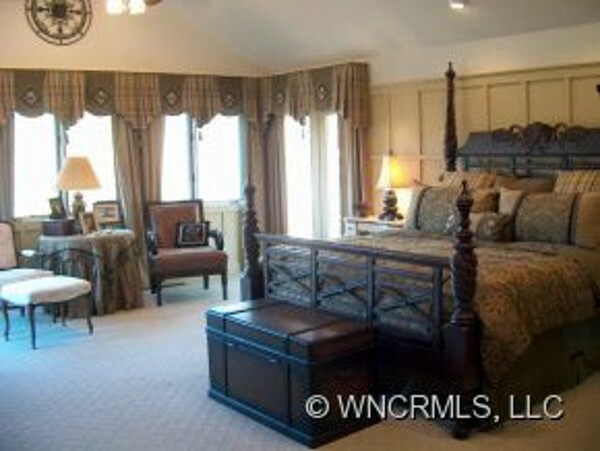 3 bedrrom 4.5 baths with large family/game room on full walk out lower level. Master on main level with his/her's baths, shower and closets. Winter mountain and lake views. Built in cabinets, extensive molding and finishing touches. Enjoy the best of the mountains and the best of the lake. The property includes 165 feet of shoreline on deep water and its own private dock. Your family will enjoy a fullrange of lake activities, including boating, kayaking and swimming. Fishermen find some of the best fishing our region has to offer. Horse power restricted boating for peaceful living and boating. Deed restrictions to protect land values and privacy. Equestrian riding trails and walking trails through out the community. 438-acre lake is surrounded by a neighborhood of gracious summer homes and year round residences.